AEP’s economic development team works closely with local communities and state agencies to promote economic growth. In 2015, the team generated 170 business attraction and retention projects that created 22,500 jobs throughout its service territory. Promoting economic development across a large and diverse footprint requires efficiently integrating multiple systems to provide interested parties with timely and accurate information in a variety of formats. With this in mind, AEP recently redesigned aeped.com, a highly focused economic development website that furnishes data to site selectors and companies looking to potentially expand in the electric utility’s 11-state service territory. 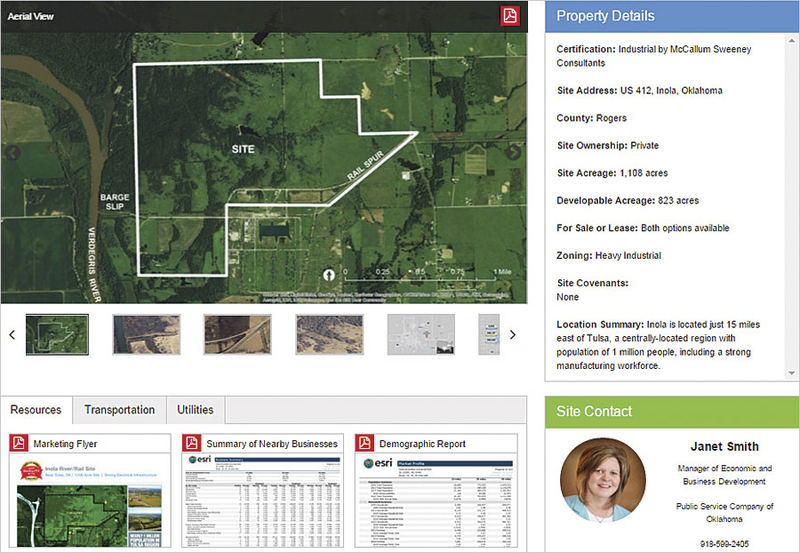 The website—which was built using the ArcGIS platform—showcases featured properties, contains information and analysis on various states’ characteristics, and provides data on business feasibility for key industries. That is why AEP’s economic development website (a collaboration between AEP’s corporate communications department and Adept Marketing) contains general data on frequently requested items and provides several interactive features for customized, self-service research. Unsurprisingly, maps play a central role. For the aeped.com redesign, AEP’s economic development team exploited several Esri tools. ArcGIS for Desktop was used principally to create the thematic and analytical maps that display a wide range of data. The team employed Esri Business Analyst Online extensively to construct drive-time polygons for potential development sites, as well as to report business and demographic data for various geographies. 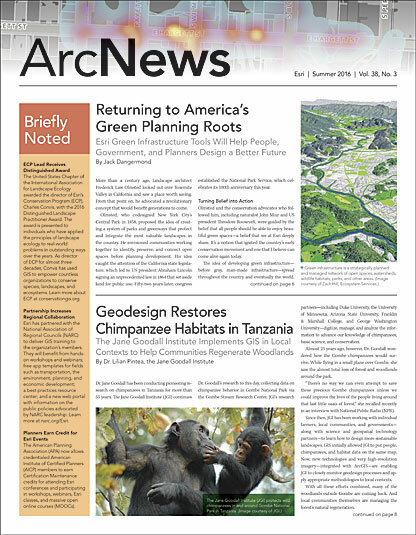 The WordPress plug-in for ArcGIS Online was used to integrate several ArcGIS hosted web maps into the website. And the team employed the Pictometry extension for ArcGIS for Desktop to incorporate oblique imagery (aerial photos taken at about a 45-degree angle) where appropriate. Certified sites are displayed on individual pages that each feature a map gallery. The maps on these pages (which are generated using ArcGIS for Desktop) include an aerial view of each site that identifies its key features, a local proximity map that shows how many people live within a specific radius relative to the site, and a one-day truck drive map that displays 200-, 400-, and 600-mile buffers—approximately how far a truck could drive in a day, depending on various factors—around the selected area. Each map gallery also features a drive-time analysis, completed using Business Analyst Online, to show the available workforce within 20-, 40-, and 60-minute drive times, as well as bird’s-eye view images (where available) made with the Pictometry extension for ArcGIS for Desktop. The maps and, in many cases, their accompanying analyses are available for download in PDF. AEP’s economic development website details the advantages of doing business in each of the company’s 11 states. It addresses infrastructure, business climate, workforce, and electric service. For each target industry, the AEP economic development website includes detailed analyses of the fields’ workforce, transportation, existing industries, and business costs. The information is presented in a map gallery that integrates data from the US Census Bureau, the US Bureau of Labor Statistics, and the National Transportation Atlas Database, among other sources. A tab on the page allows users to switch from the static map gallery to an interactive certified sites map. 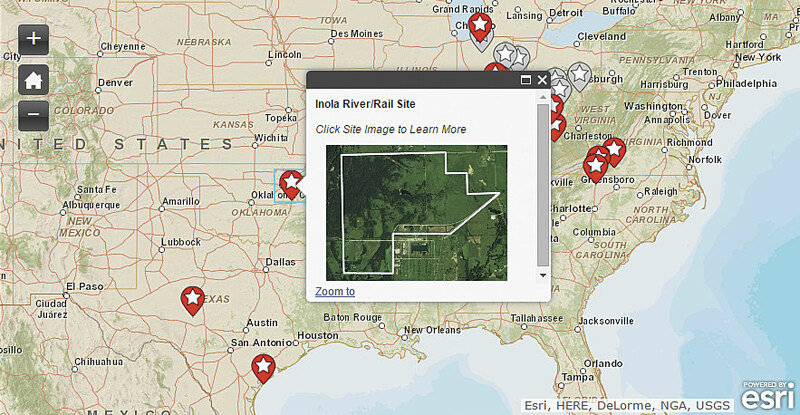 AEP created this responsive map using the WordPress plug-in for ArcGIS Online. The pop-up for each AEP certified site—which includes the site’s name and an aerial photo—allows users to either zoom in to the site on the map or open the particular certified site page in a new tab. Maps are used in other locations throughout aeped.com as well. The website’s blog includes a maps section that allows users to share individual maps and geographic information. 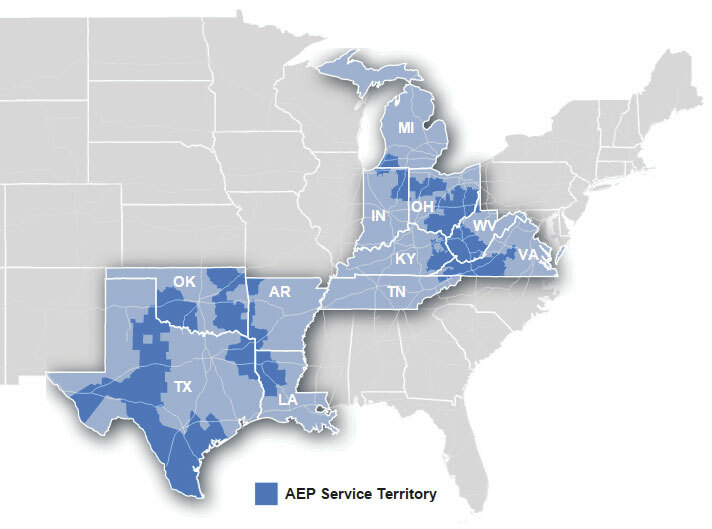 Additionally, a service territory locator tool enables visitors to enter an address or geographic coordinates to determine whether their location is served by AEP. Should the visitor want to learn more, he or she could use this tool to send an email to the appropriate AEP contact, who would then connect with the interested party. As more visitors use aeped.com, the AEP economic and business development team plans to use analytics from the website to improve its content and functionality. Given how important location information and maps are to economic development, the team also intends to seek new ways to integrate geographic data into the website and create tools that meet its audience’s needs. Robb Watson, GISP, is an economic and business development analyst with American Electric Power. He holds a master’s degree in city and regional planning from Ohio State University and a bachelor’s degree in geography from Miami University.